For the second time in three attempts, Honda Performance Development has won the LMP2 class at the 24 Hours of Le Mans, with the American-based Starworks Racing claiming the category victory in its first Le Mans start. Starworks, which earlier this year won LMP2 at the 12 Hours of Sebring, made it’s 24 Hours of Le Mans debut in the most impressive way possible, with drivers Ryan Dalziel, Tom Kimber-Smith and Enzo Potolicchio piloting their HPD ARX-03b to a seventh overall finish, one lap ahead of the next LMP2 entry. In 2010, HPD’s first attempt at Le Mans, it was British-based Strakka Racing winning LMP2 in its HPD ARX-01c with a commanding margin of seven laps and LMP2 record fifth overall finish. This year’s race was far more dramatic, but just as rewarding for HPD. But three hours later, at midnight, the Starworks HPD ARX-03b chassis and HPD HR28TT twin-turbo V6 engine combination was in the LMP2 lead and – although challenged for the remaining 12 hours by several Nissan-powered teams – Starworks was more than capable of defending it’s hard-won advantage, and maintained a steady, if narrow lead for the remaining 12 hours to take the LMP2 victory over TDS Racing. For the first time, HPD also fielded a pair of entries in the headline LMP1 class, utilizing the new ARX-03a chassis and normally aspirated HR-LM V8 engine. Strakka Racing moved up from LMP2 for 2012 and driver Danny Watts qualified the new combination seventh overall on Thursday, fastest of the “privateer” teams doing battle with the full manufacturer-supported teams from Audi and Toyota. 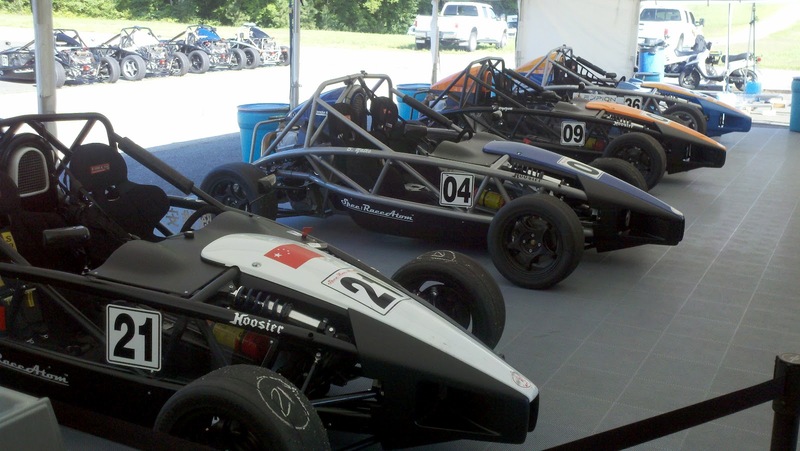 Another British team, JRM Motorsports, started 11th in their ARX-03a. JRM had a steady run in their first Le Mans attempt, after winning the FIA GT1 World Championship in 2011. The driving trio of David Brabham, Karun Chandhok and Peter Dumbreck moved into the top-10 in the opening hours, and seventh overall at the 16-hour mark. Other than a few minor delays, JRM pressed on for an excellent sixth-place finish, behind only the four “works” entries from the winning Audi effort and the first of two Rebellion entries. Meanwhile, for Strakka, it was a drama-filled 24 hours. A transmission oil leak discovered shortly before the race start left drivers Jonny Kane, Nick Leventis and Watts still in their garage area as the green flag waved, with Kane finally starting 22 minutes later, six laps down on the leaders. The team rapidly went to work making up that deficit, climbing through the GT field, making up 35 positions in the first six hours. At the 18-hour mark, Strakka was up to 10th overall, behind JRM and the Lolas of Rebellion Racing in the battle for independent team honors. But overheating issues slowed Strakka’s pace in the final hours, and the team settled for an eighth-place finish in LMP1. HPD’s second LMP2 entry, the Level 5 Motorsports HPD effort of Christophe Bouchut, Luis Diaz and Scott Tucker, suffered early disappointment in its effort to build on a third-place class finish in 2011. Communication problems during the night led to the car missing its scheduled pit stop, and running out of fuel midway around the eight-mile circuit. Unable to make it back to pit lane, the ARX-03b was retired. 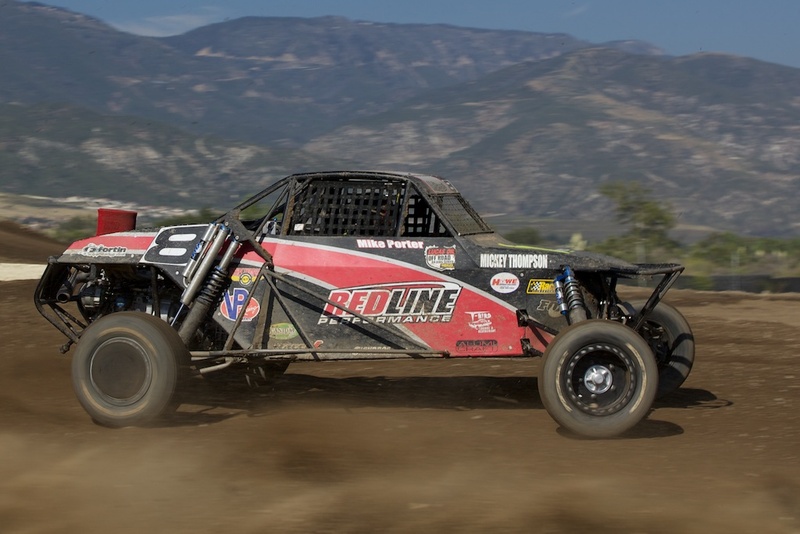 My name is Mike Porter, and I race a Honda-powered off-road buggy. I recently won the Lucas Oil Off-Road Racing Series championship in the Pro Buggy Unlimited class. 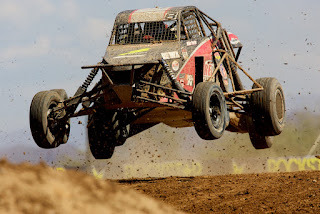 The Lucas Oil Off-Road Racing Series is a series for short-course off-road racing. It’s kind of like motocross, only with trucks and buggies instead of motorcycles. Unlike desert off-road racing, where you’re racing more against the elements and the clock, this is almost like a combat sport. It’s door to door, wheel to wheel, and intimidation is a big factor. It’s very aggressive, and for 20 minutes you’re giving it all you’ve got – there’s no pacing yourself. I love the door-to-door racing aspect of it. 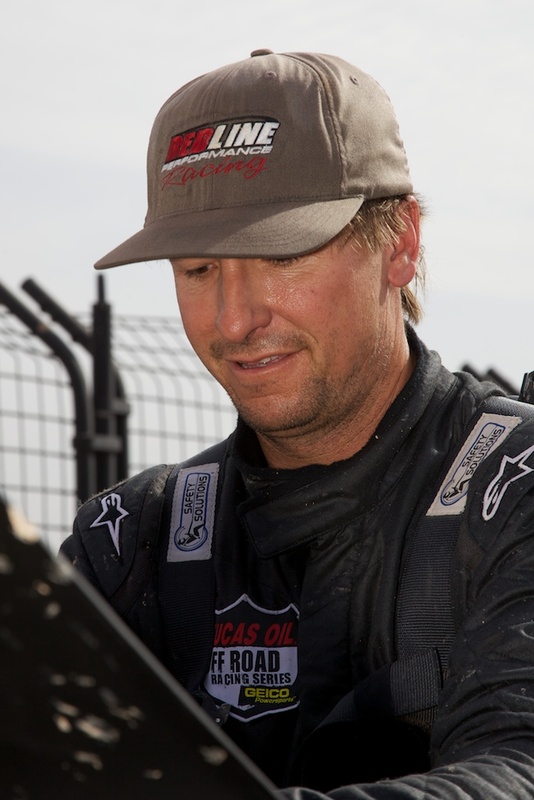 The equipment can handle it, unlike desert racing, where you’ve got to pace yourself and save your equipment. 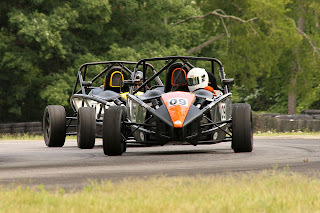 The class I race in is called Unlimited Buggy, but there are limitations. We’re allowed to run a 1650cc, water-cooled engine, with no variable cam timing and a carburetor with 28mm restrictors. 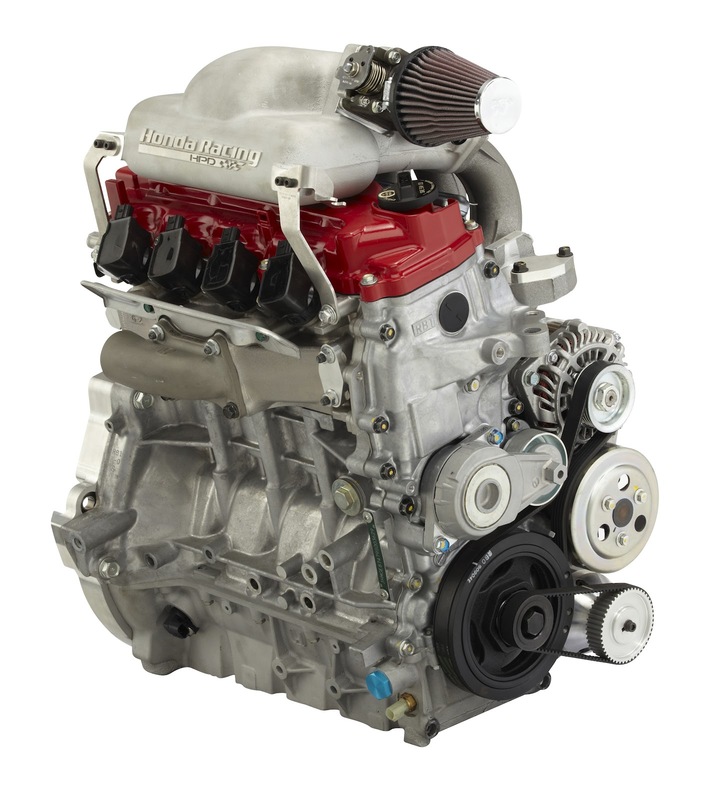 Internally in the motor, you can bump the compression, do head work, change valves and cams … all of that is open. The result is a very high-strung engine that we’re pushing to the limit. We’re running at 9,200 rpm. In our case, the engine is based on a Honda B16A. We have to build aftermarket camshafts that don’t have the VTEC lobes. We sleeve the block, and run 13:1 compression. When I say “we,” I really mean “we.” I own Redline Performance in Anaheim, Calif. We build engines for off-road racing and recreation. That’s why I chose the Honda. It’s superior to some of the other choices. We’ve been building Honda motors for 18 years, and we know them like the back of our hand. We feel that we have an advantage over everyone else. The engine makes good power, and since the chassis in which it sits weighs fewer than 2,000 lbs., it’s a quick package. I run an Alumicraft chassis. It has to have a minimum weight of 1,820 lbs. or 1,850 lbs., depending on engine configuration, but most are over that. 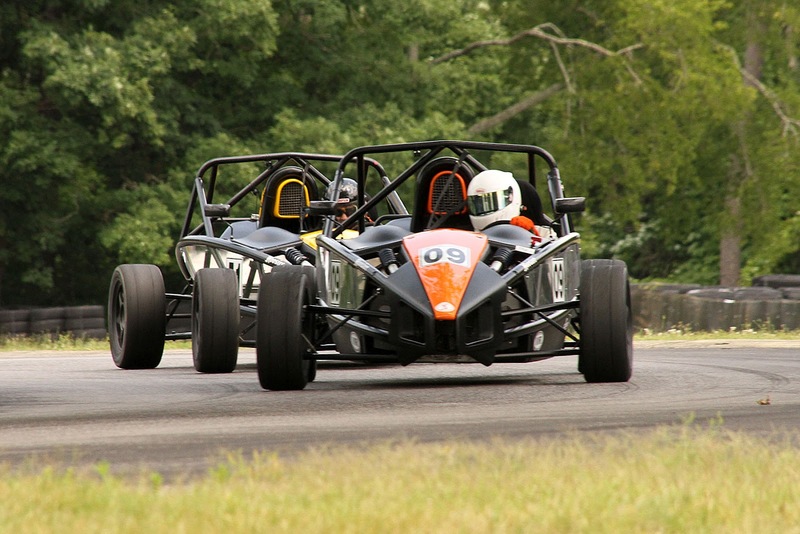 The suspension is unlimited, and we’ve got 18 inches of wheel travel all around to absorb the bumps and jump landings. They handle amazingly – you can fling them sideways, or sprint-car them into the corner. They accelerate very fast because the power-to-weight ratio is very good. One unique thing we have is a turning brake. Because the engine is in the rear, we don’t have a lot of weight on the nose, so sometimes under power, the front end gets light. The turning brake – operated by a handle in the cockpit – helps whip the car in whichever direction you want it to go. Especially when you drive on the inside of somebody, you can use the turning brake to make a pass. Our rear end is not a spool, so we can lock one tire or the other. I used all of it to good effect this year, winning the championship. It’s an incredible feeling. Winning races is good, but the main goal is winning championships. Championships don’t come easily, and we were there just about every weekend. It’ll be even better if we can back it up next year. Not many guys have done it back-to-back. 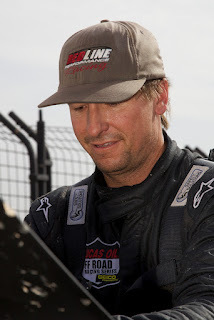 Look for Mike Porter and other Honda-powered buggies in the Lucas Oil Off-Road Racing Series. You can also catch the series on SPEED, NBC Sports Network and MavTV. If you’re a racer in a Honda or with Honda power, don’t forget to register for the Honda Racing Line program at http://www.hondaracingline.com/. 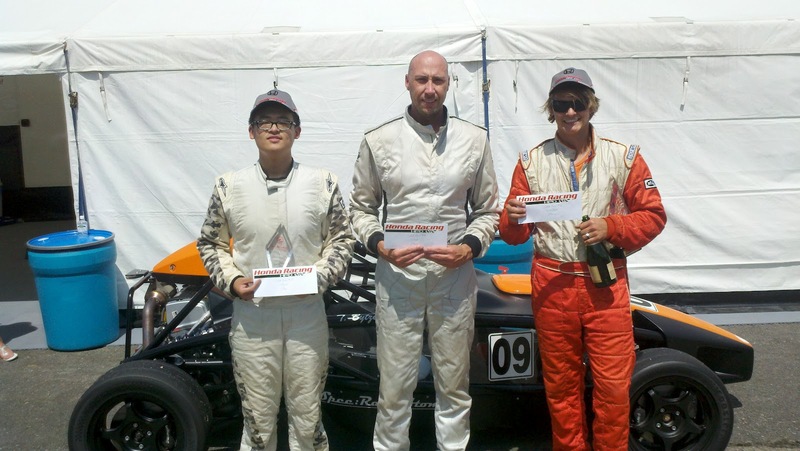 Conner Ford continued his mastery of the 2012 Corsa Car Care presents Pacific Formula F Super Series with another pair of race wins May 19-20 at Buttonwillow Raceway in California, his fourth and fifth victories in six starts this season. Ford and his PR1 Honda Mygale were untouchable at Buttonwillow, qualifying on the pole for both races, and leading series debutant Al Savo home for a PR1 Racing 1-2 result in both races. 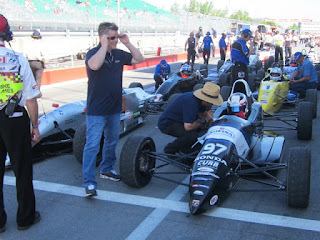 In Saturday’s opener, Ford led convincingly from green to checker, despite 100-degree weather. The fight for second was the highlight of the race, with Savo battling the Porter Racing Swift Ford of Ed Erlandson until a wheel-banging pass in the closing laps settled the fight in Savo’s favor. Erlandson held on to finish third, followed by defending series champion Jerry Anderson in a Swift Ford and the Piper Honda of Sage Marie. Ford repeated his wire-to-wire run on Sunday for his second Formula F victory of the weekend, while the best battle was once again the fight for second. This time, it was an all-Honda affair, as Marie and series newcomer Neil Roberts battled Savo. The three traded places frequently for 12 of the scheduled 16 laps before Savo edged out a six-tenths of a second advantage at the finish, followed by Roberts and Marie. 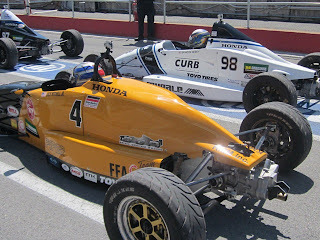 The six-car Formula F field at Buttonwillow was the largest of the season, including four Honda-powered cars and two entries using the Ford Kent engine. Ford now holds a commanding 193 – 96 lead in the points championship over Erlandson. Marie rounds out the top three in the championship with 61 points. Next up for the Corsa Car Care presents Pacific Formula F Super Series is the June 9-10 doubleheader weekend at Auto Club Speedway near Los Angeles. More information on this exciting series is available at www.pacificF2000.com.